Ken Bone is a semi-retired senior public service manager – having worked in Commonwealth, State and local government. A graduate in Economics – his public service roles has focused on housing, health services, children’s protection and childhood services. In addition Ken has worked in a range of urban services and capital building programs. 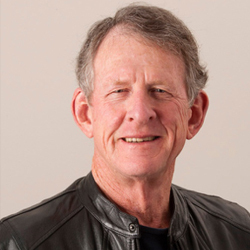 Ken was brought up in the western suburbs of Sydney and is keenly interested in seeing services delivered that provide a basis for people believing in themselves and allowing people to use their talents to their full potential to achieve independence. As a Board member Ken is passionate in supporting Woodville Alliance to be an even more key contributor to the community life of south western Sydney. He has been on a number of boards including in community housing, sports boards and a showground trust. In his private life Ken is a keen grandparent and golfer and traveller, a cricket tragic, a bonsai grower and collector of blues music. Hanna is originally from Germany and moved to her new home Australia in 2014. After graduating in economics, Hanna joined HSBC. With a CFA charter and a corporate tool box under her belt, she decided to transition into Social Finance with LGT Impact Ventures in the Philippines. In Manila she worked with early-stage social enterprises before developing a business plan for affordable bamboo housing with United Nations and the Hilti Foundation. Hanna continues to follow her passion for Impact Investing and has been with social lender SEFA since 2014 where she now oversees the investment and service activities as Head of Portfolio Management. Hanna is particularly excited about contributing her finance, social enterprise and impact investing expertise to Woodville Alliance and helping the organisation navigate the not-for-profit sector changes in funding opportunities and business models. 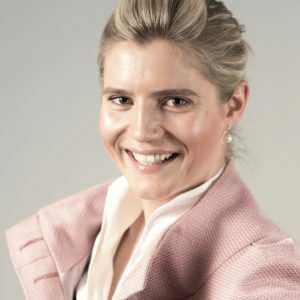 Hanna is a graduate of the Australian Institute of Company Directors and a Non Executive Director of organic food manufacturer and distributor Ceres Organics Australia. In her free time, Hanna enjoys walking in the Australian bush, yoga and staying in touch with friends and family across various time zones. Sandra a non-executive director, chair & committee member with over two decades of board level experience as both a director and board advisor. She has worked across the public, private and not for profit sectors with particular experience in the utilities, infrastructure and the energy industries. Sandra has extensive experience working in and with NSW state owned corporations and government agencies at the most senior levels, building constructive relationships with elected officials, regulators, government agencies, industry organisations, other businesses and customer advocates. She has worked in urban and regional areas, and on major state and national initiatives. Sandra has completed the AICD Company Directors Course, an MBA, a Bachelor of Electrical Engineering with Honours, and is prequalified as a NSW Government Boards Audit & Risk Committee Member. 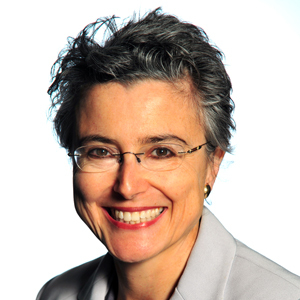 Elizabeth is a lawyer and works at the University of New South Wales, where – as the General Counsel and University Secretary – she is responsible for the legal and governance functions of the University. Prior to this, Elizabeth has had very diverse roles as a legal practitioner, becoming a partner of a large national law firm early in her career, and being appointed as a legal member of numerous State and Federal Tribunals. These included the Social Security Appeals Tribunal, where she acquired experience in relation to issues of disability and social disadvantage. 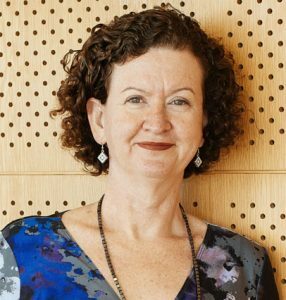 Prior to joining the University of New South Wales, Elizabeth was general counsel at Screen Australia, a Commonwealth authority established to invest in and support the Australian screen and digital media industry. In addition, Elizabeth has been a non-executive Director of companies in the financial services and energy sectors. While pursuing her career as a lawyer and non-executive Director, Elizabeth raised four children. Elizabeth is a first generation Australian, and her family background is European. Through her family’s history, Elizabeth has a deep understanding of the experience of migrants who re-start their lives in Australia. Elizabeth was delighted to be appointed to the Board of Woodville Alliance in November 2016. 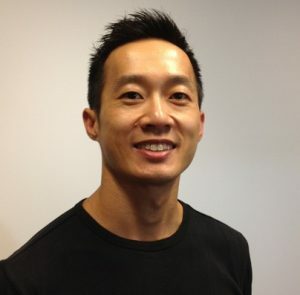 David Hua is a digital strategist who has lived, learned, and worked in a multiplatform world for over 20 years. He’s been a senior executive at the Australian Broadcasting Corporation for over a decade, holding roles including Head of Digital Operations at ABC International and Multiplatform Content Manager for ABC Radio. He’s previously worked in eCommerce, digital marketing, and in content production and has a Masters in Media, Arts and Production from the University of Technology, Sydney. Born in Vietnam, David lived in regional NSW when he first arrived in Australia and has spent over 15 years as a resident of south-western Sydney. He’s able to speak Cantonese, Vietnamese, and Mandarin. Tim is a non-executive director at the Woodville Alliance with specialist skills in organisational strategy, communications and engagement. He currently works as a consultant, advising CEOs and community sector leaders on how to best achieve their social interest objectives. Prior to setting up his own business, Tim spent most of his career working in government, including as a Senior Adviser and Chief of Staff to government ministers at federal and state level with a focus on social policy including disability services, mental health, housing & homelessness. Tim also sits on the Board of the Australian Social Investment Trust and has a strong interest in collective investment models to tackle social challenges. He has a strong belief in the fundamental value of human diversity as a tool to build a better society. Tim has completed a Bachelor of Arts with Honours in Politics and Public Policy at the University of Melbourne. 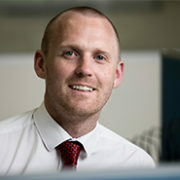 Paul Easton currently works in a number of roles within the education and technology sectors specializing in transforming not-for-profit organisations. Since September 2017 Paul has been the Director of ‘The Learning Exchange: Institute for Excellence in Teaching & Learning’, a joint venture initiative between three colleges in Brisbane. Paul has served on the board of the Queensland Flexible Learning Centers and is a member of the Space Design Competitions Australia organizing committee. 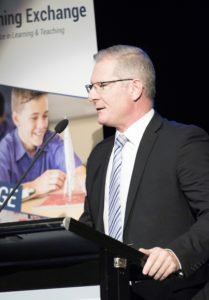 Prior to these current positions Paul worked as Director Performance in Catholic Education Diocese of Parramatta from 2015 to 2017, Manager – Information and Planning, Brisbane Catholic Education from 2012-2015, and in senior school leadership roles at St Edmund’s College, Iona College and St Laurence’s College (2006 to 2012). Prior to commencing a career in teaching Paul worked as an accountant for Price Waterhouse (now Price Waterhouse Coopers). Paul holds numerous tertiary qualifications including a Bachelor of Economics (University of Sydney), Graduate Diploma of Education and a Master of Educational Leadership (Australian Catholic University), and a Graduate Certificate in Law (Queensland University of Technology).